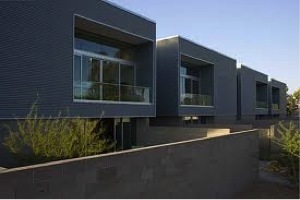 Galleries at Turney Lofts is a Camelback Corridor modern loft condominium located at 4410 North 27th Street, Phoenix, Arizona 85016, built in 2007. Amenities include: Stainless Steel Appliances, Spacious Outdoor Patios, 2-Car Garages. The Galleries at Turney Lofts condos are located in the Camelback Corridor area near local shopping and restaurants.